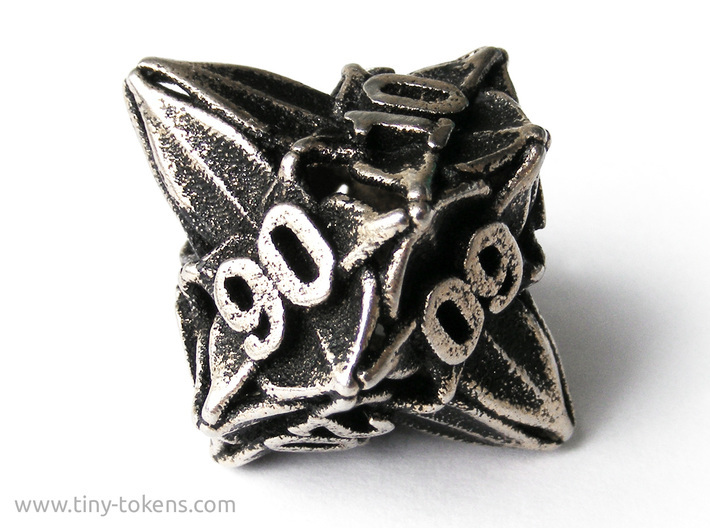 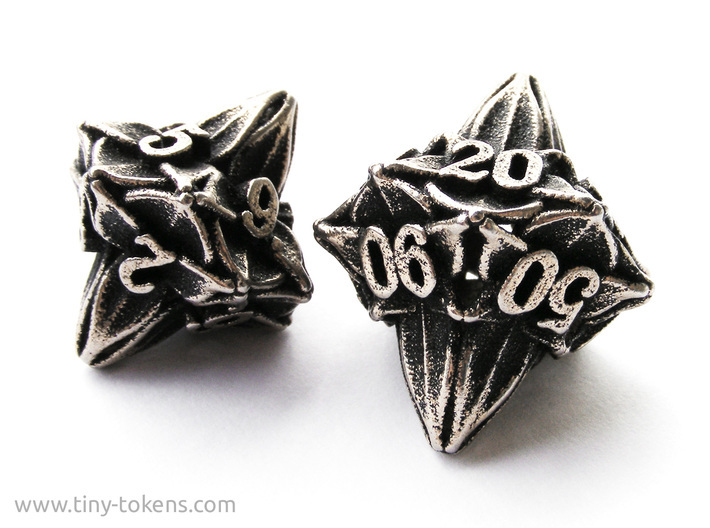 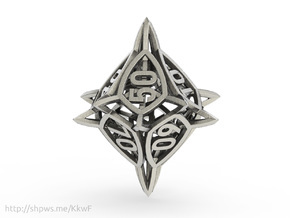 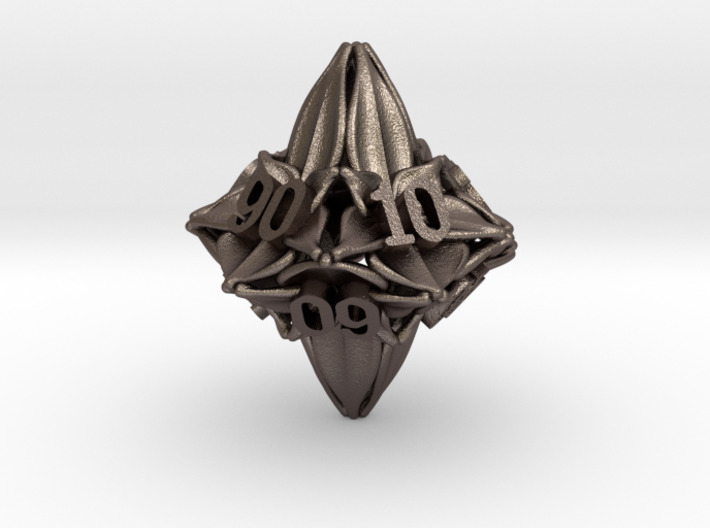 This is the ten sided percentile die (10d10 or decader) from my Floral Dice collection. 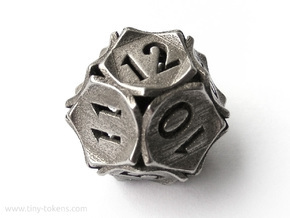 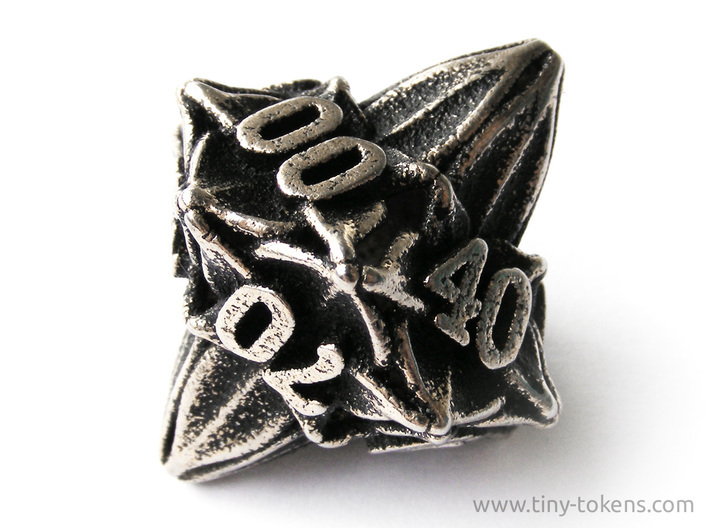 This die is numbered like a regular gaming die, with the numbers on opposing sides adding up to ninety. 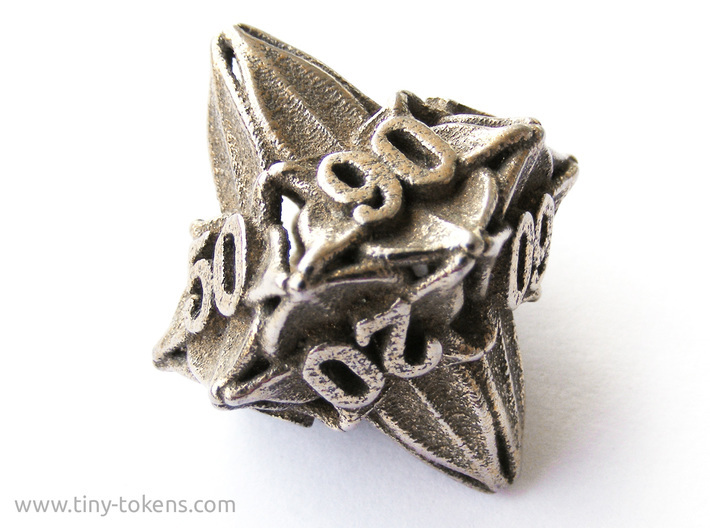 It has been designed to be well balanced so that it gives a fair roll. 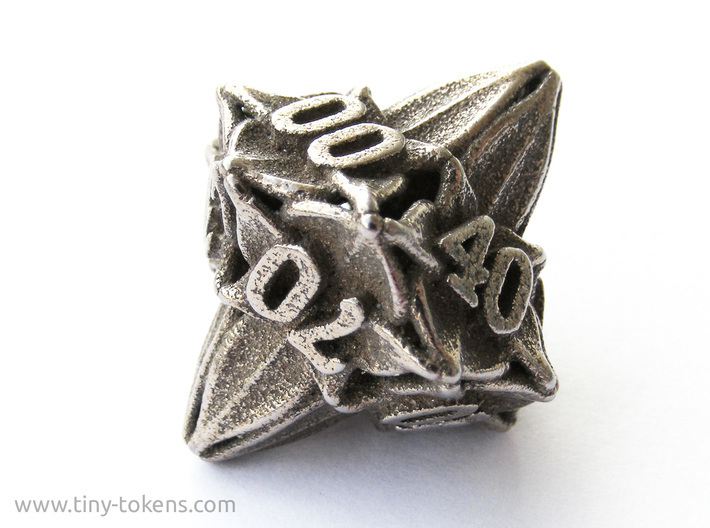 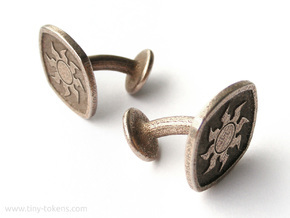 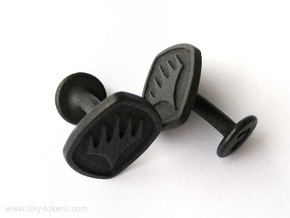 This 10d10 measures ± 20 mm (0.8 inch) high and weighs ± 16 grams in steel.